News Americas, ST. JOHN’S, Antigua, Fri. Nov. 2, 2018: A Caribbean island was the chosen destination for a vow renewal ceremony recently for a popular US TV reality show that will return this Sunday, Nov. 4th. 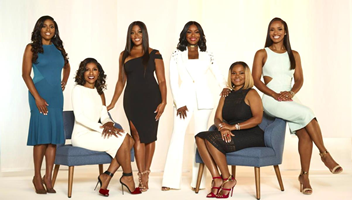 Antigua & Barbuda was chosen as the destination to shoot the ceremony by the producers of the series Married to Medicine on BRAVO network. Originally planned as a single episode, there was so much on island that the destination will now be featured in three separate episodes beginning this weekend. The stunning Tamarind Hills Villas, located on a sunset-facing bluff on Antigua’s glorious west coast, showcasing two of the island’s most beautiful beaches, hosted the cast. The popular show spent ten days in Antigua from May 28th through June 6th earlier this year, filming at a variety of locations and properties. The first of the three episodes filmed in Antigua airs this Sunday, November 4 at 9PM Eastern/8PM Central on BRAVO. The second and third episodes will be broadcast on November 11th and November 17th respectively.